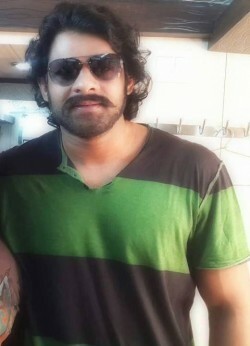 We had earlier seen Prabhas sporting the macho look for his upcoming movie "Baahubali'. With long beard and sturdy body, Prabhas was spotted everywhere wearing the same look. But all of a sudden, the director of the movie, Rajamouli ordered Prabhas to take that look away, and get back to normal. We now see him looking a little bloated and the excess hair is off his face. Reasons behind this change are unknown, lets wait to hear what the director and Prabhas have got to say about it.